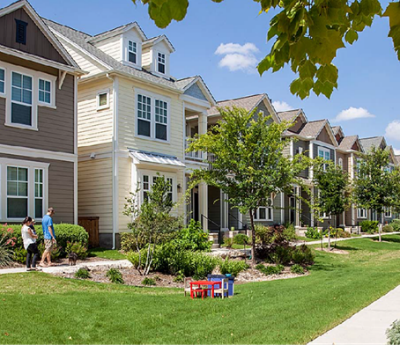 University of Texas at Austin employee Janeka Rector bought a home in the Mueller community through its affordable housing program. San Antonio is one of the most economically segregated cities in the country. That’s what a 2015 study by urban scholar Richard Florida found when he looked at which U. S. cities have the highest concentration of wealthy and low-income residents living in separate neighborhoods. As San Antonio leaders look for solutions to economic segregation, a housing development 80 miles to the north encourages people with widely different incomes to live side-by-side. For this week’s Growing Pains project on housing we traveled to Austin to see how the Mueller community hopes to bridge the economic divide. Mothers with their babies at a park in the Mueller community. 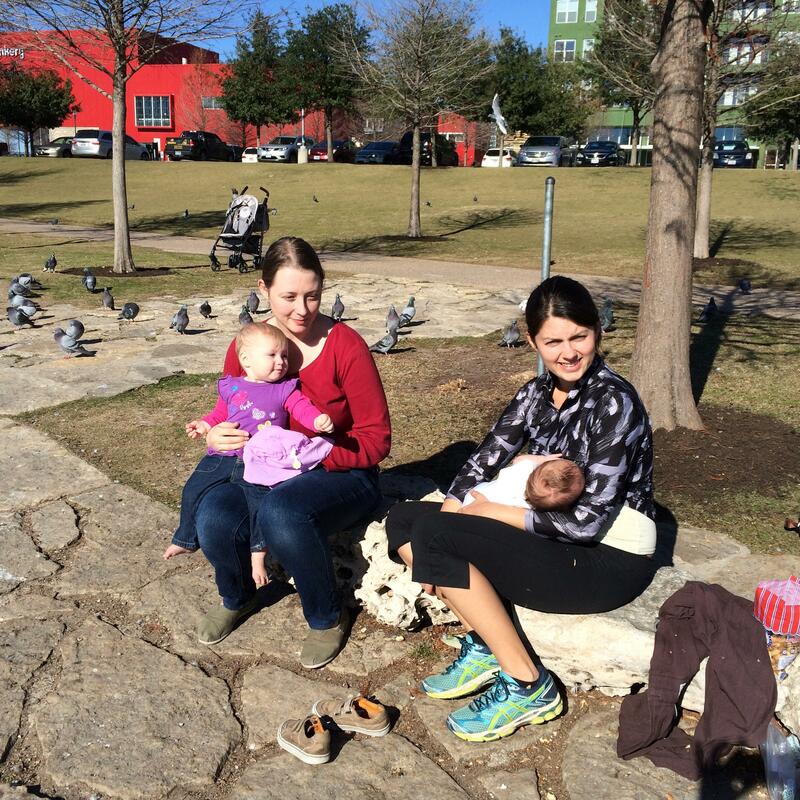 Just off Interstate 35, not far from the University of Texas at Austin campus, young mothers sit on stone benches at the edge of a small lake. Children feed the ducks and pigeons. Retirees power-walk along manicured paths. This park is part of the 700 acres that used to be the city’s Mueller airport. When Austin opened its new airport in 1999 it decided to transform Mueller into a mixed community with retail stores, a children’s museum, a hospital and – most importantly- housing, for rent and for sale. For U-T employee Janeka Rector buying a house in the Mueller community was a chance of a lifetime. “We’re here at my house. I know everybody who lives on my block and everybody who lives on this, street,” the 37-year old says as she shows off her two-story, 1,400 foot home with potted plants sitting on her front porch. Because of its central location in a city with wildly escalating home prices, many Mueller homes sell for $400,000 to a million dollars. But the city requires 25 percent of the houses be affordable for owners who earn no more than 80 percent of the city’s median income. With a salary of $43,000 and good credit Rector qualified. Mueller housing has been built on 700 acres that used to be the site of the city's airport. “I was renting. My rent was untenable. It kept going up and up. It was over a mortgage,” she says. While Rector’s house would have sold for much more on the open market, the price for her was $189,000. She put $1,500 down and qualified for the loan. Mueller’s non-profit foundation backed the sale with another $100,000 lien. “Unless I purchased in a suburb or had gotten far away from the University of Texas where I work, I don’t think I would have been able to find an affordable house,” she says. As a participant in the affordable housing program, Rector can earn no more than 2 percent profit for each year she lives here if she decides to sell. The foundation gets the first shot at purchasing the house so it can be offered to another affordable buyer. Dee Desjardin is with the Catellus Corporation which is developing Mueller. She says segregated housing creates a segregated city. Planners have said that can perpetuate cycles of poverty and blighted areas with few amenities. Grocery stores and retailers that won’t locate in neighborhoods with predominantly low-income residents, will place their stores in mixed income neighborhoods where there’s enough disposable income to be profitable. Desjardin says Mueller was designed so that you can’t easily identify the affordable houses as you drive through the community. They’re interspersed with more expensive homes. Across the street from Rector, for example, is a house appraised at $486,000. Homes across from the park two blocks away would reportedly sell for close to a million dollars. The affordable homes include townhouses, grouped around a shared yard; condos, four to six in a building; detached homes. No matter the value, however, there is one very consistent feature – no big yards. In many cases, there are no yards at all. Just seven feet separates Rector from her neighbors. “If you have kids you may want the big yards. The advantage here is we have parks to make up for the lack of space. The density is great because you get to meet so many interesting the people,” she says. Desjardin admits Mueller isn’t right for everyone, especially if they want a Texas-sized yard or a separate workshop. But she says residents are drawn by the walkability of the community; having parks and trail near their doorsteps; and being close to downtown. Some San Antonio developers say building a mixed income neighborhood like this would be risky. Owners of million dollar homes might worry the $200,000 homes several doors down would diminish the value of their properties. Aiden Cohen, who owns one of the pricier Mueller homes, says that’s not his experience. Aiden Cohen owns an upscale home on the parkway and says living near affordable homes hasn't diminished his property value. It all seems like the beginning of a great solution for Austin, which was ranked first in the nation in Richard Florida’s report for being economically segregated. But there’s a problem planners didn’t foresee. 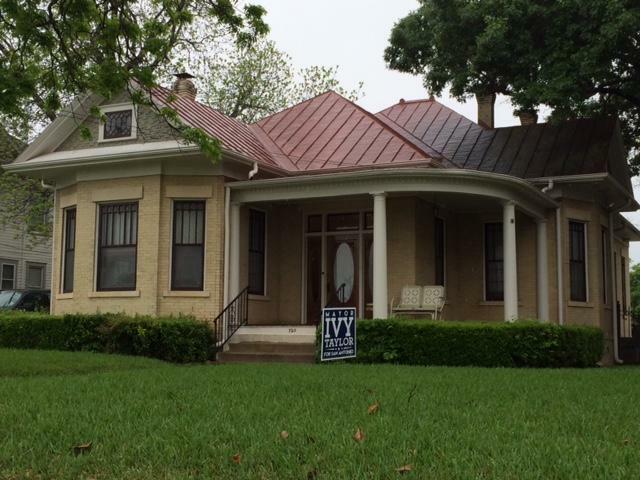 The Travis County Appraisal District has decided to tax the affordable homes at the market rate. 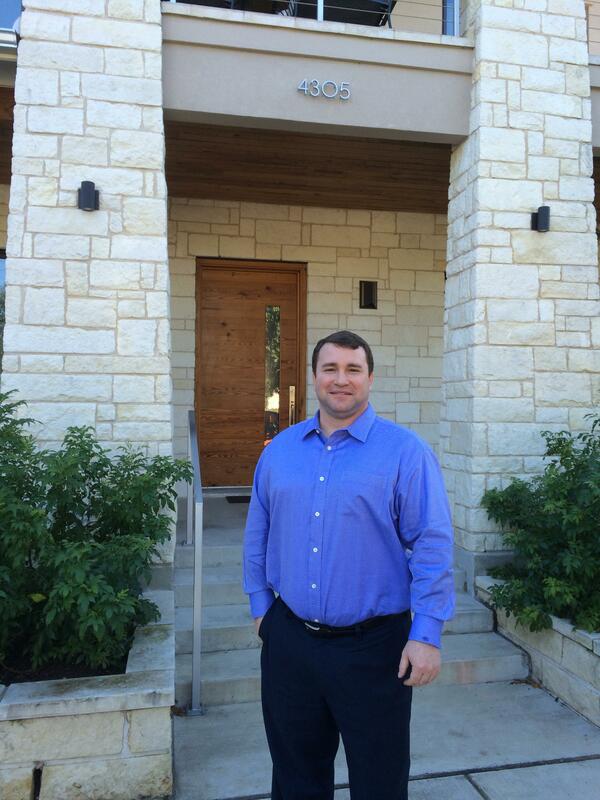 The appraised value of Rector’s home has increased more than $187,000 in two years. “I don’t know in the next three, four, five years if it will be an affordable home anymore,” says Rector. Three homeowners are taking the appraisal district to court. Mueller is trying to negotiate a solution to the tax problem so it can ensure the 290 affordable homes in the development continue to be just that. So could San Antonio develop something like the Mueller community which benefited from having a large tract of land close to Austin’s downtown? San Antonio Mayor Ivy Taylor lives in the historic Dignowity neighborhood that is attracting residents with a wide range of incomes. We asked Mayor Ivy Taylor who is a professional urban planner. She believes a better way to fight economic segregation here is by redeveloping inner city neighborhoods like Dignowity Hill on the East Side where she lives. TPR’s Growing Pains project continues its week-long look at housing on Thursday with a report on how development is changing traditional neighborhoods. Area planners estimate one million more people will move to Bexar County in the next 25 years. As part of our project, “Growing Pains,” Texas Public Radio is taking a deeper look at the opportunities and hurdles that come with that growth. This week we’re looking at housing. Check out the data below showing how home prices have risen. As part of our Growing Pains project we continue our series on housing by looking at what renters are facing. They too increasingly are feeling squeezed. we’re one of the few in this general area and, then of course, we have a lot of internet business,” she says.